Sony Interactive Entertainment's upcoming PlayStation Classic will support smartphone AC USB Adaptors, but won't come with support for other PlayStation peripherals, such as the DualShock 4. The news comes way of a Sony spokesperson (via IGN), and comes after word that it wouldn't be shipping with its own power source, or in other words, you will need to purchase a USB AC Adaptor separately. However, according to Sony, this shouldn't be a problem because many already have these adaptors thanks to smartphones. 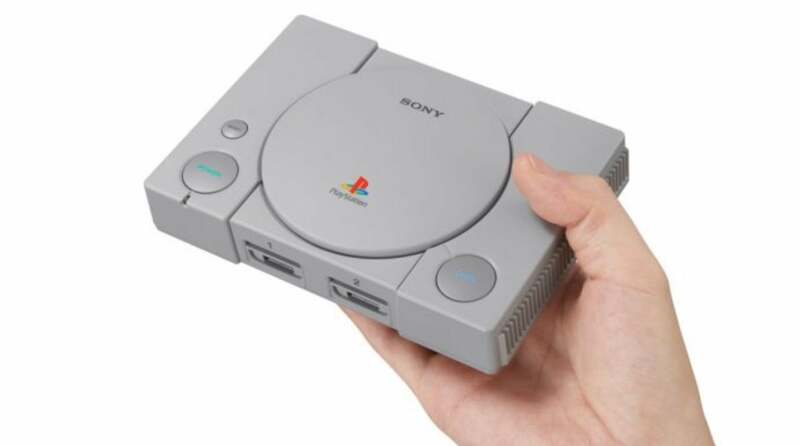 "Power for PlayStation Classic can be supplied using any USB power source meeting the 5V/1.0A requirement, including those that come with smartphones," said the Sony spokesperson. As you may know, the PlayStation Classic comes with the classic PlayStation controllers that first shipped with the console, aka they don't have the DualShock or Analog controller designs. Thus, many have wondered whether or not there will be support for more modern PS peripherals, such as the DualShock 4, via the USB ports Well, IGN asked this question: and the answer is no. "Peripherals for the original PlayStation or later platforms are not supported on PlayStation Classic, which is designed to work with the bundled controllers." Seeming that only the classic controllers will be shipping with the system, this likely means game that shipped later on the PS1 when there were new controllers -- so titles that require dual analog sticks -- won't be featured on the system. And this rules out actually a considerable amount of classics, such as Ape Escape. But given that Sony is only shipping the system with 20 games, this shouldn't be a problem, as they will still be spoiled for choices.